Feel great, have more energy, look good- and become the person you want to be! You can do it! You are worth it! 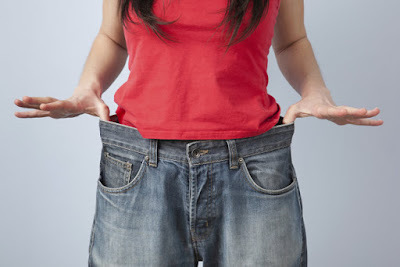 Lose Weight and Reach Your Health Goals with HYPNOSIS! Hypnosis can be very successful in creating positive changes in your life, whether you want to lose weight naturally or you are looking to support an already started weight loss diet system or program....... You can TAKE YOUR NUTRITIONAL CLEANSE to whole new level! Through Hypnosis you will become thinner, healthier, energized, and more confident about your appearance. At Michelle A Leonard Hypnosis we use a personal one-on-one approach with unique advanced scientifically proven anchors to support you in reaching your goals and of living a life that is both lite and joyful. Each session will be focused on satisfying your specific desires, needs and goals. Learn easy to use techniques to begin to eat mindfully and to treat yourself with the love, care and the respect you deserve. Hypnosis allows you to enter a state of relaxation and heightened suggestibility to support you in reaching your desired outcomes. Hypnosis brings your subconscious into alignment with your goals and desires, and reprograms your thinking so that all the parts of your mind and body are working together to achieve your desired outcomes. Put yourself into a state of strong commitment, with clear intentions to incorporate new habits and then you will achieve and maintain your ideal, healthy weight. Hypnosis changes your thought patterns so that you begin to pay more attention, eat better, crave healthy foods, and live a healthier lifestyle. With hypnosis you will find cravings for bad foods will diminish, you will be satisfied with smaller portions, and you will become focused on making healthy life choices consistently. Every session will leave you feeling empowered, confident, and in control. You will find as you normalize your relationship with food, you will begin to eat when you are hungry and stop when you are full. Imagine eating a normal amount of food and enjoying a feeling of being totally full and completely satisfied. As a weight loss client, with Michelle A Leonard Hypnosis, you will begin your journey to improved health, living a more optimal wellness lifestyle, and you will gain confidence with a start-up program that builds on momentum. You will be seen once a week for a month; four visits. These visits will be followed up with two bi-weekly sessions; two visits. This weight loss approach is different than anything you have ever tried before. After the sixth session, you will then decide when you need a follow up maintenance hypnosis sessions to continue onto success! I have had clients come in weekly to weeks later, months later, during holidays, or during times of high stress - It is based on your progress and your needs. Clients who do best and achieve the most are those who come in periodically until their goal weight is achieved. Your first 90 minute visit will be pleasant and informative; not to mention life changing! My goal is to further encourage and inspire you to achieve your objectives. I will gain insight on your needs and intentions. We will have a discussion about your weight loss and fitness objectives. We will review your initial intake and obtain information related to your current health, lifestyle, eating and exercise habits. We will talk about hypnosis and how it works. Each hypnosis session is tailored to your specific needs; includes key suggestions, utilizing a range of techniques, includes powerful anchors and will leave you empowered and motivated! In the end we will briefly discuss your experience, homework will be given, You will receive tools, and a recording of the session will be emailed to you to listen to every night before bed. Please plan follow-up visits to last about 45 minutes. They will include a discussion of your progress, we will add in additional goals, and again you will be emailed a hypnosis recording to listen to daily before bed. Often I am asked – “Michelle, have you heard of one – session - hypnosis programs for weight loss?” Yes I have! …and I DO NOT believe in them. It’s been reported that only a small percentage of clients that have tried this “miracle cure” actually have results. These results are usually small and often temporary. As a advanced trained hypnotist I believe that life changing results can happen for you! If you are determined and committed; and WITH reinforcement, support, individualized attention, and suggestions that are customized to your needs. Join the many of other clients who have successfully changed their relationship with food, lost the weight, and changed their life for the positive! Through Hypnosis begin to nourish yourself in a whole new way! Pricing: Normally the weight loss program set up like the above would cost you $650.00. With your commitment to success your program, of 6 sessions, will be discounted to $425.00; we can easily break this into installment payments per session if you need. Each additional maintenance weight loss session after these sessions will be discounted to $50.00 per session for 10 months; that is 50% off the regular fees.